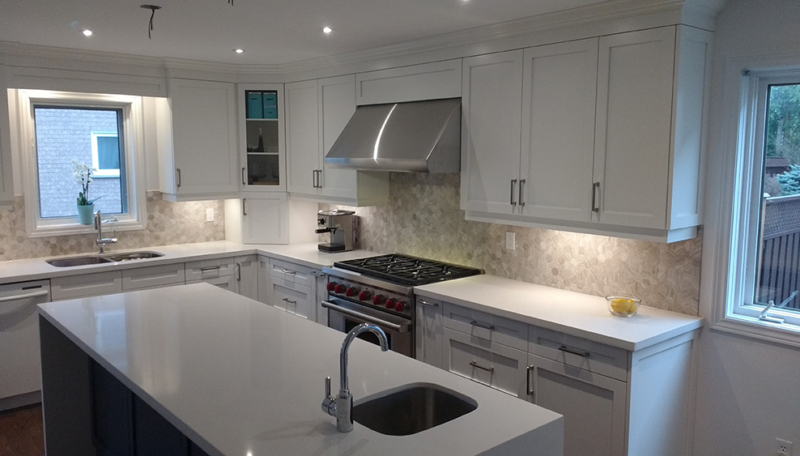 Remodelling your kitchen is one of the biggest and best investments you can make during a home renovation. Before you start, it’s vital for you to map out precisely the kind of kitchen which will fit your needs and your home’s style. Here are a few essential tips that will help you start the planning process, no matter how big or small your remodelling project is. An important factor to consider is how well your current kitchen’s layout works. If the space in your kitchen is too small to suit your daily needs, you should consider making it larger. If expanding it isn’t an option, you can try rearranging the cabinets and appliances to maximize the space available and add open space. You can also consider installing a kitchen island to create more storage space and expand the seating area. All the things in your kitchen must have their own space. Your cabinets should be designed to store all of your baking and cooking essentials without trouble. For example, large-sized baking equipment needs a much wider and larger space than regular cookware. If you have a smaller kitchen area, you will have to look for ways to increase their storage space, like having the microwave mounted rather than having it placed on the counter and selecting cabinets that increase the storage capacity of the kitchen. Families with young children will need to add a separate pantry area. You must set a realistic budget before you start planning the renovation. This ensures that you don’t overspend and stick to the amount you’ve determined. Create a list of some of the most important appliances and features you want to install in your kitchen. Also, identify the things that aren’t as important and you can do without. This will surely help you decide where you can save money. Once your basic budget is set, add a little extra for unexpected costs. If you cook once a week, purchasing high-end appliances should not be a priority for you. But if you have a large family and prepare meals most nights and days, you will need appliances that are durable and perform well in everyday use. If you’re very social, make sure your kitchen has a lot of open space to accommodate your friends when you have them over. This will allow you to interact with them even while you’re cooking. If you’re planning on selling your home in a few years, you will get a better return on your investment if you incorporate traditional designs instead of contemporary styles. Choose neutral shades for the interiors and granite. You will get a higher return if you design a kitchen that most buyers will find appealing. However, if you’re not planning to sell, you can choose a personalised style. Either way, your kitchen should be symmetrical and aesthetically pleasing. Prior to starting your kitchen renovation, set your goals to ensure you get exactly what you want and stay within your budget. Although it can be a complex project, with the proper effort and planning your remodelling project will be rewarding.